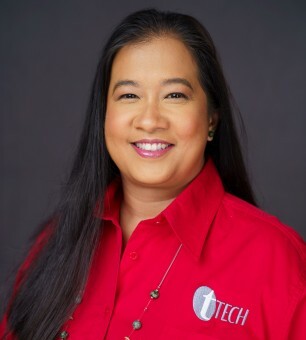 tTech » Lesley Suzanne Cousins, B.Sc., M.Sc. Lesley Suzanne Cousins, B.Sc., M.Sc. Home Management TeamLesley Suzanne Cousins, B.Sc., M.Sc. Mrs. Lesley Cousins is the Project Manager, Project Management Office. Her responsibilities include project portfolio management for Consulting Services and the other services that the Company provides. Lesley Cousins brings over 12 years of experience to her role as Project Manager for tTech Limited. In this capacity, she has served in the dual role of Project and Change Manager since July 2016. Simultaneously, Cousins is a Managing Director and Project Manager at Agate Services Limited, a company she founded in October 2014 after working as an independent Project Manager and Consultant since 2010. She was engaged by NC Associates Limited from 2013 to 2014 and later tTech Limited from 2015-2016, to provide Project Management services on ICT projects. During this time, she successfully managed the implementation and deployment of over 18 VoIP PBX solutions totalling over 2000 extensions and several Microsoft Exchange and Consultancy Projects. Cousins managed software implementation projects based on Microsoft and Capability Maturity Model Integration (CMMI) best practices at InfoTech Caribbean (Jamaica) Limited for one year (2008-2009). Lesley earned her Bachelor’s degree at the University of the West Indies, Mona in Environmental Science (Hons), and later pursued a Master’s degree in Management and Implementation of Development Projects (Hons) at the University of Manchester Institute of Science and Technology (UMIST), United Kingdom. She is a certified Microsoft Projects user.